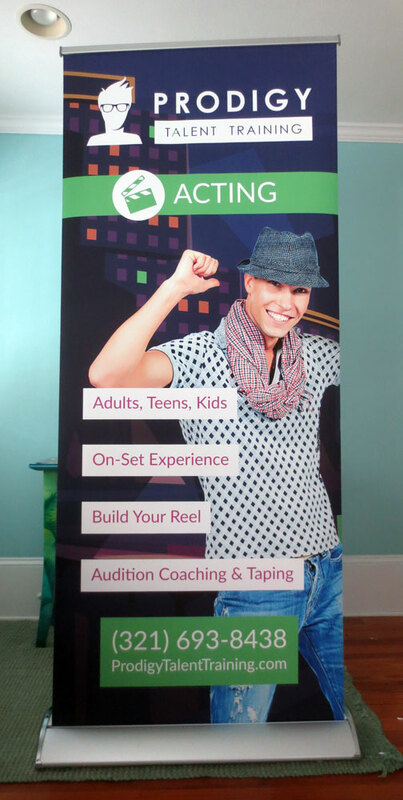 At The Rusty Pixel we have just finished designing and printing 3 large deluxe retractable trade-show banners for Prodigy Talent Training, based in Rockledge, Florida. The size of each banner is 33" (2.75′) wide by 79" (6.58′) high. Because they are so large they can be easily seen and even read from a distance. Their large size makes these banners the perfect choice for trade-shows, all kinds of events, office displays, in-store promotions and more. To display the banner simply rollup the design and connect the metal pole to the top. When not in use the banner design retracts into its own sturdy and sleek-looking aluminum stand with chrome end-caps. This heavy weight stand provides both stability while displaying and protection for the design while in storage, keeping it looking crisp and fresh for years to come. 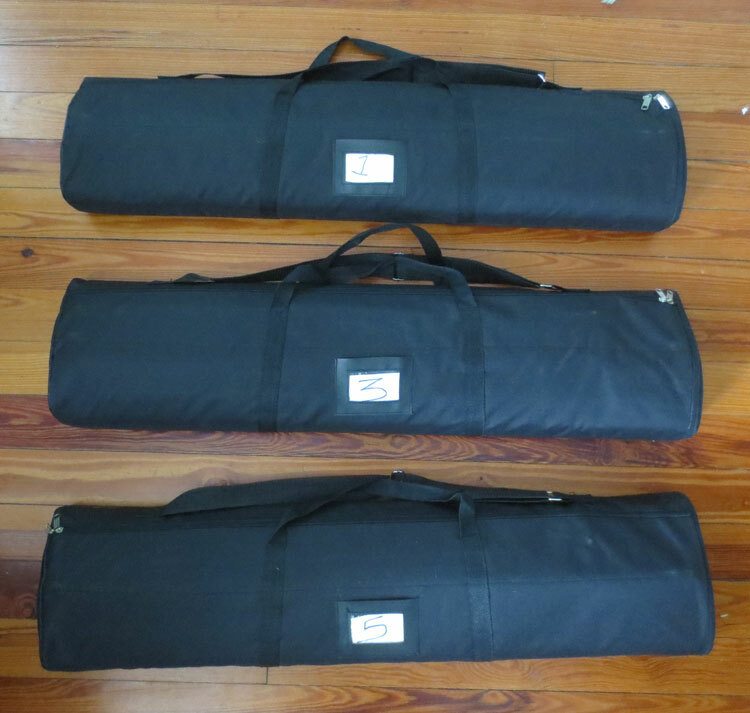 Each banner also comes with its own black fabric carrying case for easy transport to and from your events. While the banners can be used outside it is recommended for just indoor use. The banners for Prodigy Talent Training are the first 3 banners of what will be a final set of 5. To tie them all together, a stylized cityscape background was stretched across of all 5 of them. So individually each banner has 1/5th of the background design and when placed side-by-side (in the correct order) it will complete the entire cityscape picture. Large photos of people, their logo, contact details and bullet-points completes the design. Contact The Rusty Pixel today for more information on getting your own deluxe popup banner and learn about our large format design and printing services. 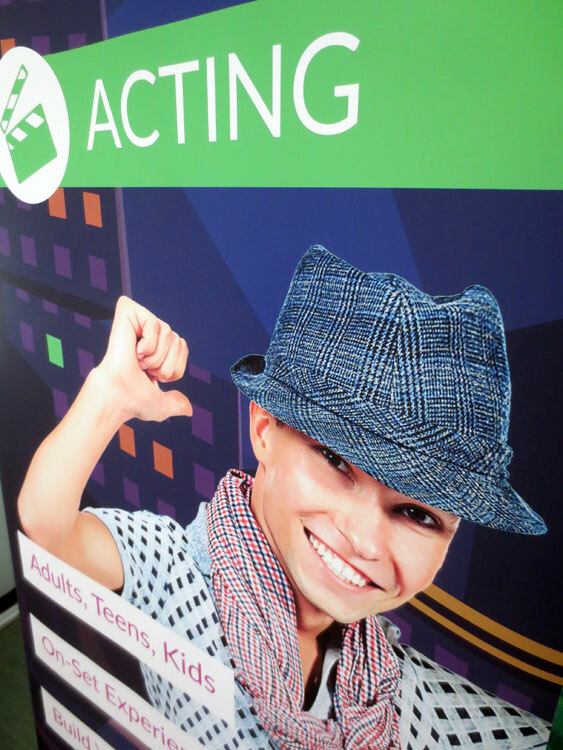 The first banner highlights their acting services. A closeup shot of the first banner so you can see the detail and printing quality. The third banner summarizes their 3 primary services and features their logo in a stylized “Kilroy” inspired layout at the bottom. The fifth banner lists all of their other secondary services. As you can see Prodigy Talent Training does a lot! 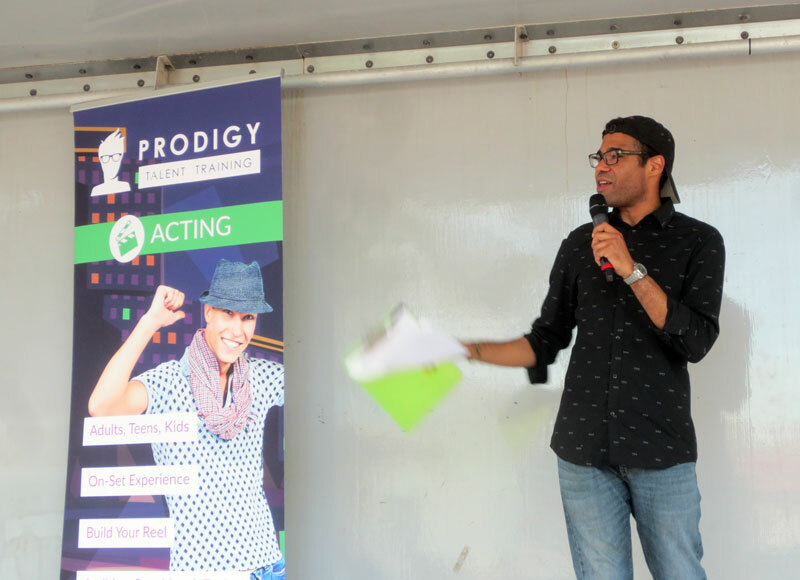 Here is Jonathan from Prodigy Talent Training with the first 3 of 5 banners at a recent Event in Cocoa, Florida. A closeup shot of Jonathan and their first banner. 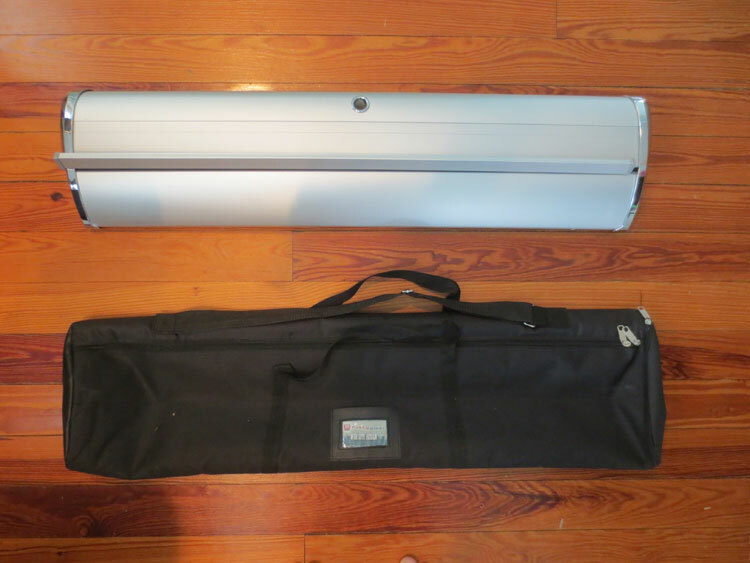 Each banner comes with its own black carrying case. A closeup shot of the deluxe aluminum stand and carrying case.